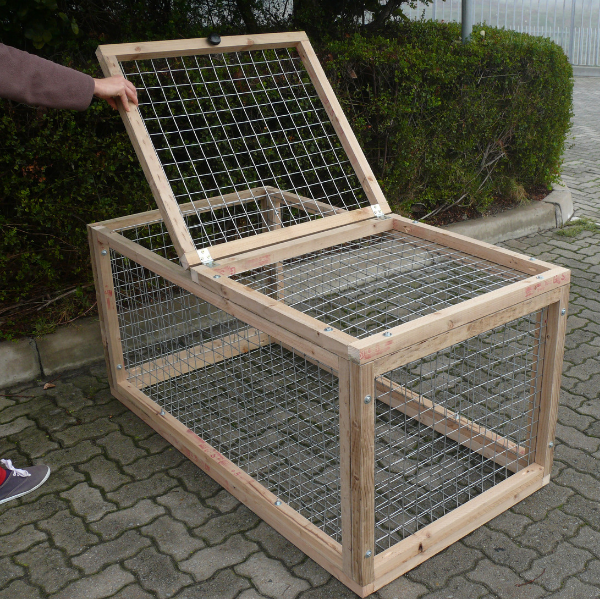 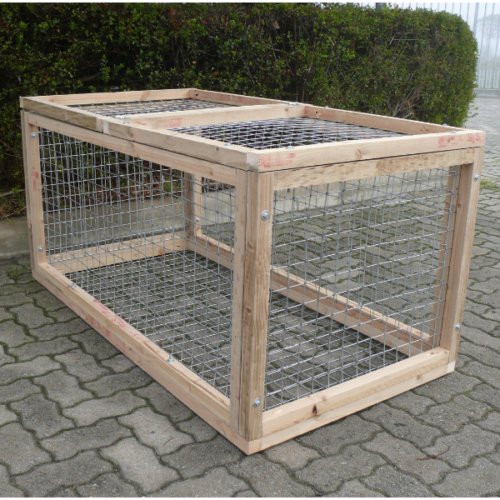 This 1.4-meter long, extremely robust cage protects the occupants from outside danger and at the same time prevents the rabbit from digging it’s way out. It is on all sides enclosed with strong 50 mm galvanised welded mesh. The bunnies can still munch on whatever sticks through the metal mesh. 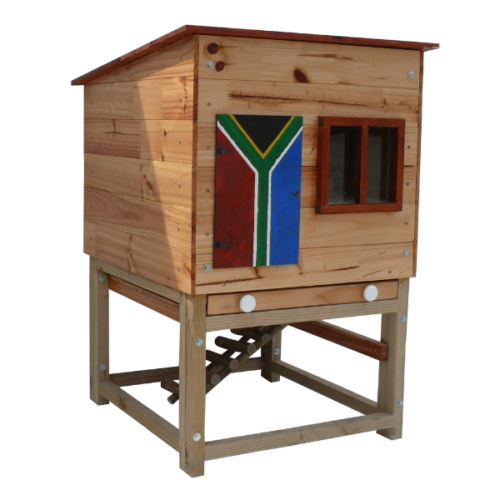 The wooden shelter inside the cage has been treated for outdoor use and protects the furry friends from the elements. 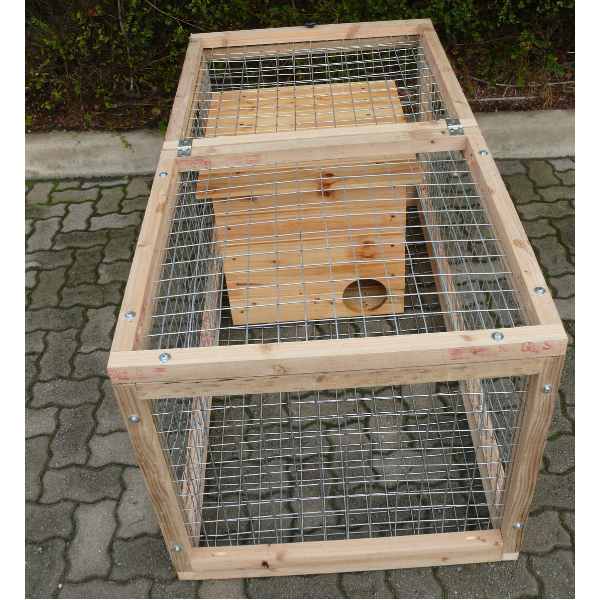 Its roof can be lifted off for access and maintenance. 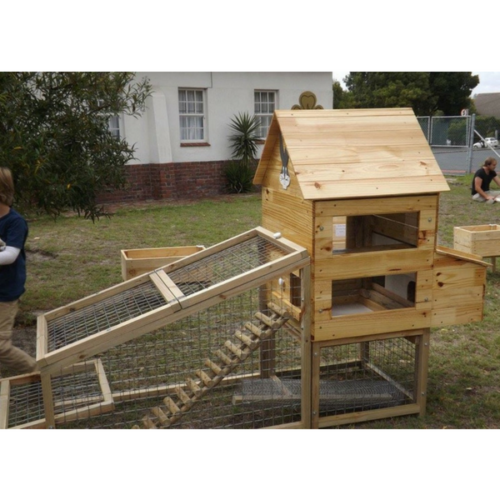 We are very happy with our hutch, thank you Uli! 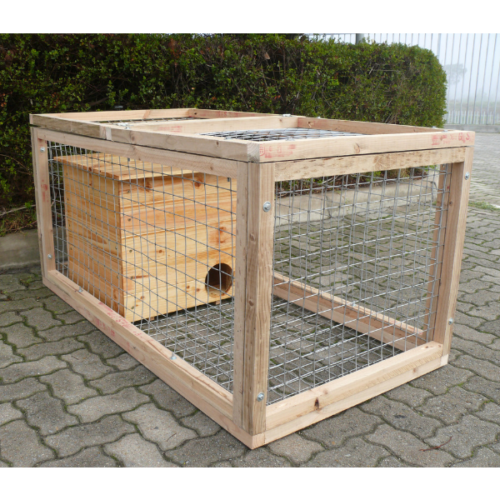 The nest is a cosy & safe haven for our guinea pigs to escape the harsh conditions here in the valley & enough room in the run to explore! 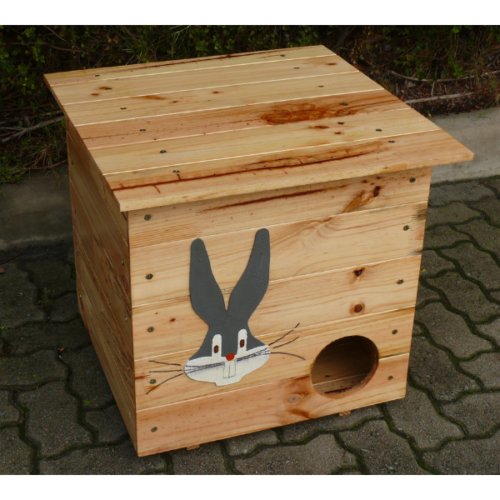 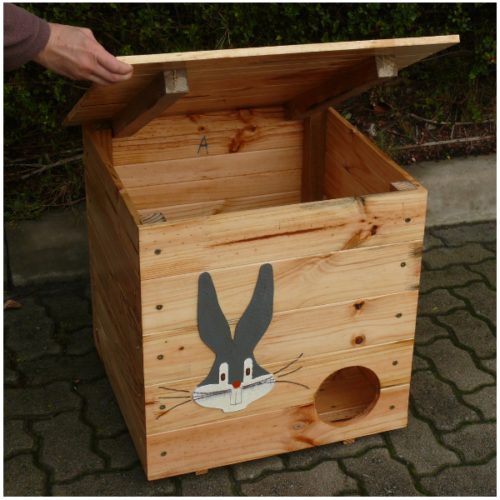 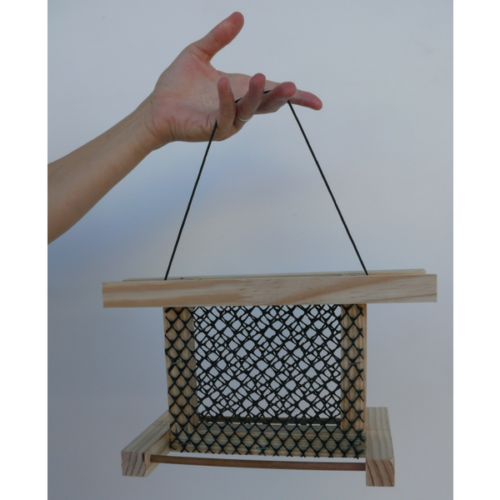 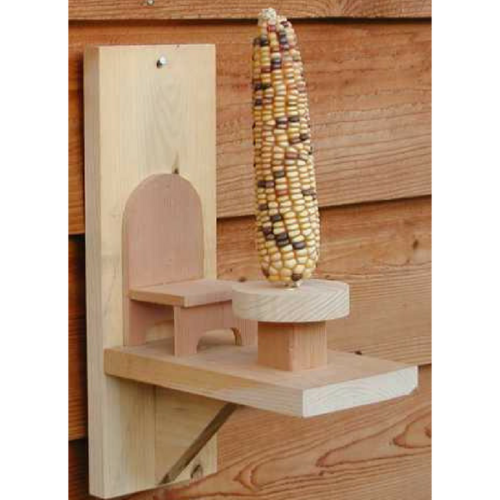 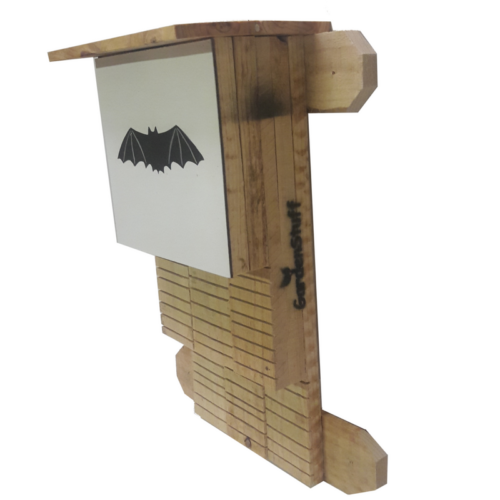 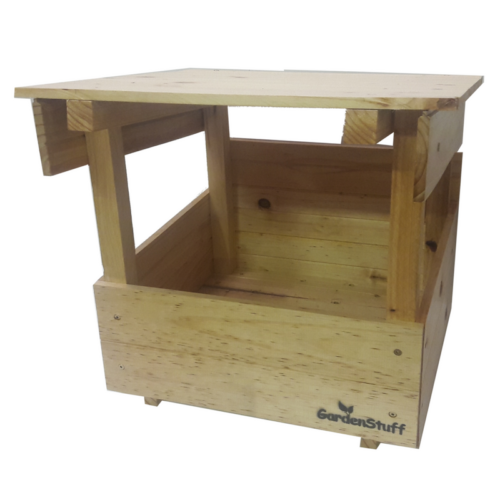 Great quality, sturdy & a lovely-looking structure that blends nicely with the surrounds!